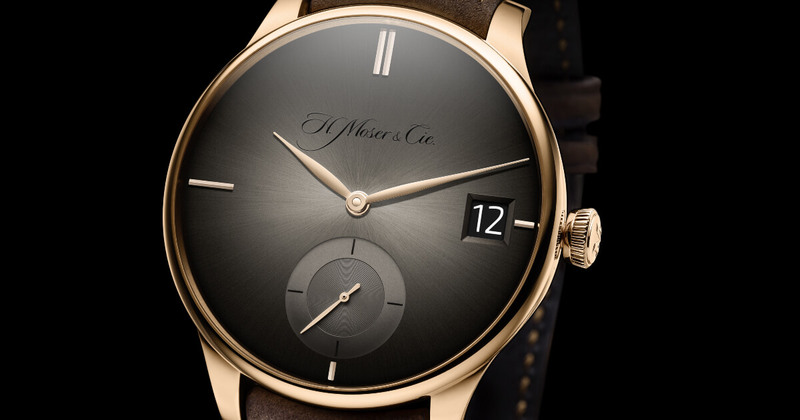 H. Moser & Cie. is known for working on a grand scale. For its Big Date, the Manufacture has opted for an oversized window to create one of the largest and most legible date displays available. On the Venturer Big Date Purity, the date is perfectly integrated in the refined dial, lending the piece a discreet elegance. This ingenious model is equipped with the Flash Calendar system that has ensured the reputation of the Manufacture's date movements. Unlike most calendar watches, on which the date changes gradually, at H. Moser & Cie it changes in a fraction of a second. The date can also be adjusted forwards and backwards at any time. A very rare and useful feature. 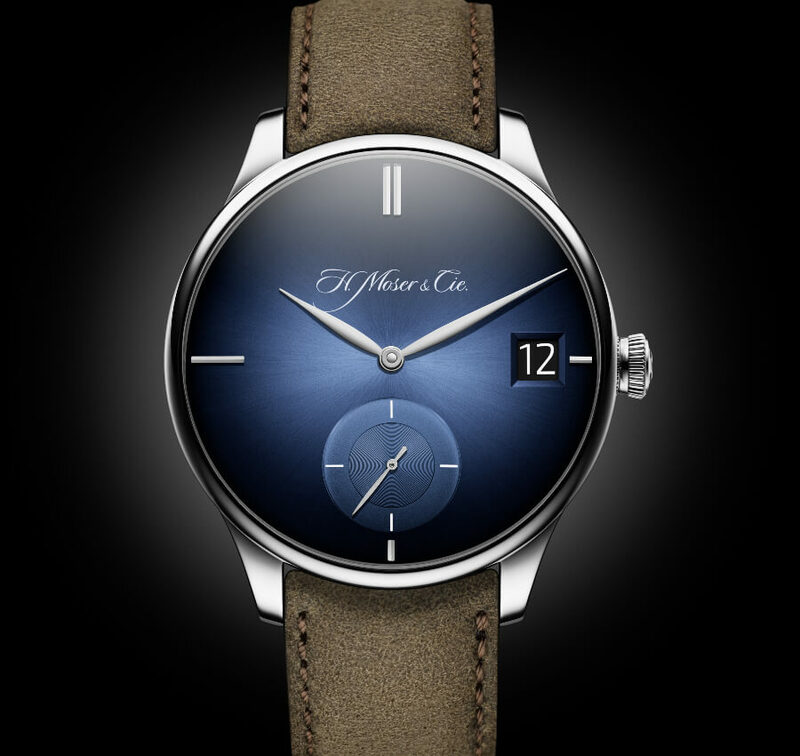 The Venturer Big Date Purity sits halfway between the watches in the Concept series, which have neither logos nor indices, and standard models: its dial is equipped with four main indices at 12, 3, 6 and 9 o'clock, as well as the Moser logo. Punctuating the dial, the indices subtly balance the piece as a whole, with the date and small second in perfect harmony. Showcased by the curved sapphire crystal and the refined bezel, the dials on the Venturer Big Date Purity models are the most popular in its catalogue: Funky Blue for the white gold model, and traditional fumé – now the company's signature – on the red gold version. 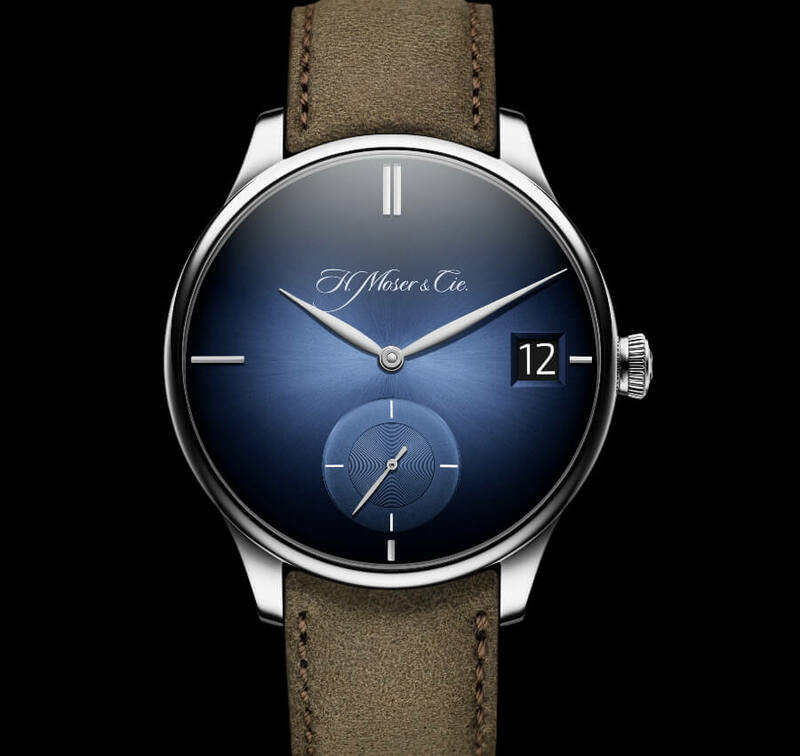 To offset the classicism of the Venturer Big Date Purity, H. Moser & Cie. has chosen a raw kudu leather strap to add a rugged touch to the white gold model. 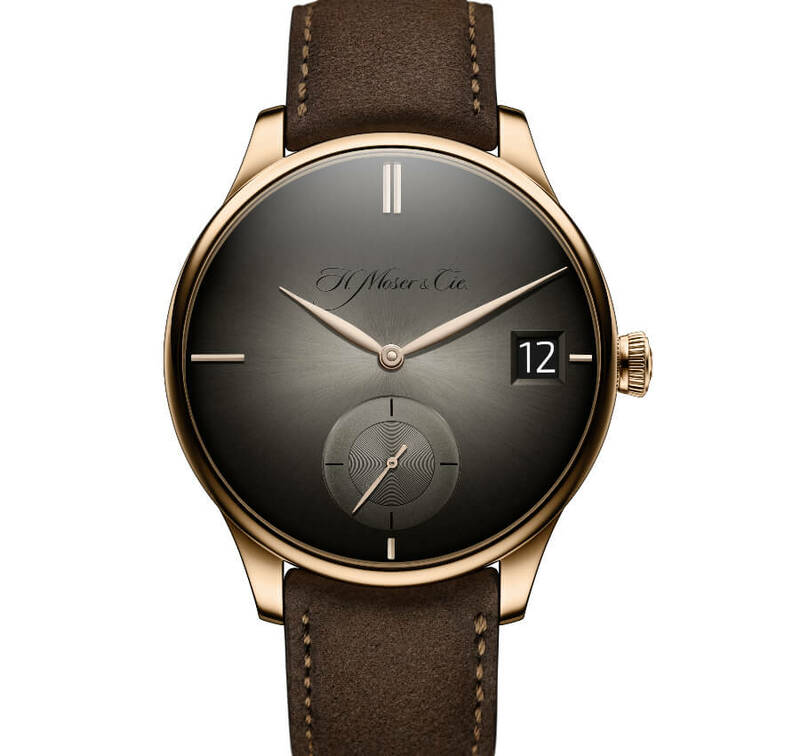 On the red gold model, a sumptuous chocolate- coloured kudu leather strap adds warmth to the fumé dial. 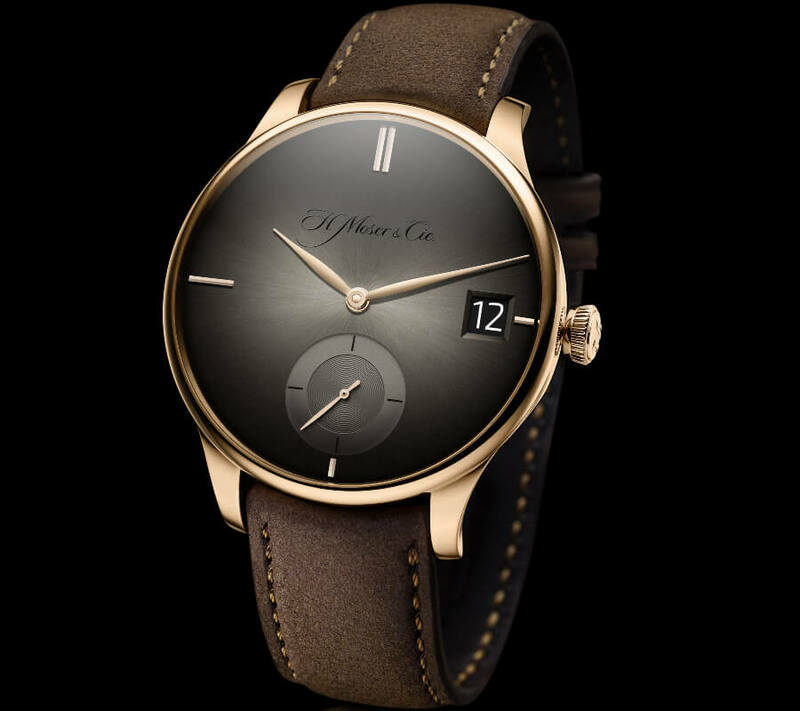 The result is both stunning and irreverent, and confirms that, while H. Moser & Cie. watches are clearly created in the fine watchmaking tradition, they are also very much of their time. With its 41.5 mm diameter case, the Venturer Big Date Purity has an imposing presence yet retains its harmonious proportions. 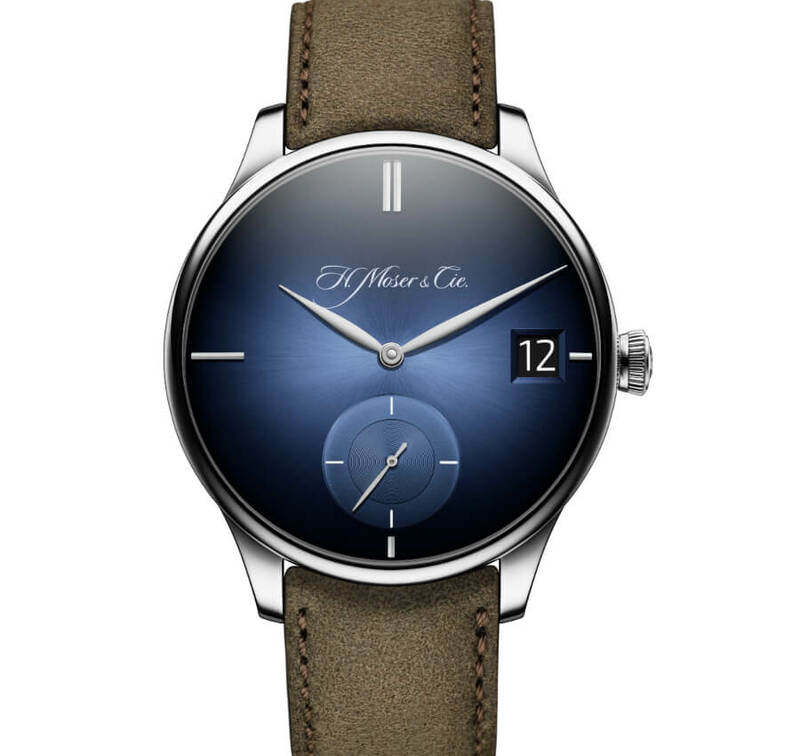 It is equipped with the hand-wound HMC 100 Manufacture calibre, with a power reserve of up to 10 days. Featuring the Flash Calendar mechanism, this movement ensures an instantaneous date change at midnight and allows the date to be smoothly adjusted forwards or backwards at any time. It is equipped with two stacked date discs, the upper disc bearing the numbers 1 to 15 and the lower disc bearing 16 to 31. Thanks to this ingenious system, each number is also perfectly centred in the window located at 3 o'clock. It also enables the date to be adjusted forward or backward at any time using the crown, even if the date is in the process of changing, without risk of damaging the movement. The desire for rigour and accuracy led the watchmakers at H. Moser & Cie. to design the Double Pull Crown mechanism, also found on the Venturer Big Date Purity: with this function there is no risk of changing the time when the date is being set as it is necessary to pull out the crown, briefly release it, and then pull it out a second time to adjust the time on the watch. The Venturer Big Date Purity is available in a limited edition of 50 pieces for the red gold model and 50 pieces for the white gold model.